Why do you FAIL TO ACHIEVE some of the things YOU WANT THE MOST? What if there was something you simply didn’t understand, The understanding of which could CHANGE EVERYTHING? 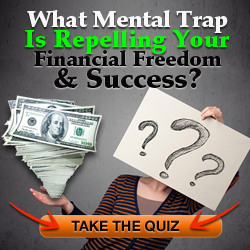 How much is it worth to find out what’s REALLY stopping you from getting what you want? What if you could understand yourself and other people so much BETTER? Tony Robbins says there are two invisible forces that shape who we are. you’ve got to understand what ALREADY influences them. you have to FIRST understand what’s driving it. What is REALLY motivating you? What are you after? Let’s uncover the truth about what’s really going on here. According to Human Needs Psychology, we ALL have 6 basic needs. 1. THE NEED FOR CERTAINTY– to avoid pain and at least be comfortable. 2. THE NEED FOR UNCERTAINTY OR VARIETY– to relieve boredom. 3. THE NEED FOR SIGNIFICANCE– to feel important, special, unique. 4. THE NEED FOR CONNECTION AND LOVE– most people settle for connection because love is too scary. 5. THE NEED FOR GROWTH– if you don’t grow you die! 6. THE NEED FOR CONTRIBUTION BEYOND OURSELVES– the secret to living is giving. What EXACTLY are your beliefs and rules? How powerful are they in determining HOW you get those needs met? Some people believe they can meet their needs by using violence, by creating something, by building something or by loving someone. What are the TWO needs you value over all the others? How are you meeting those needs? Are you meeting them in positive or negative ways? For example, some people value significance over the the other needs, but the SAME need can be met in different ways. Some people get significance by blowing up buildings, other people get significance by going into the building and trying and save others. What if your beliefs guarantee you COULDN’T get to where you say you want to go? WHAT FUEL ARE YOU CHOOSING? The Human Needs Psychology model can really help you understand why you do what you do and find out what motivates others to do what they do too. DO THIS– When confronted with a behavior or habit that you really want to change, ask yourself,what NEED do I want to meet by doing this?The answer might reveal why you’ve never been able to change it. Then put in some better quality fuel, your results will also be better quality. For example, if you have a habit of drinking alcohol too often, what you’re REALLY wanting to create is CERTAINTY. You’re certain it will make you feel a certain way. If you drink alcohol with someone else too often, you are also meeting your need for CONNECTION and LOVE. If you drink alcohol out at different places, you are meeting your need for VARIETY. If you drink ONLY the best wine or you have created a BIG PROBLEM for yourself because of your drinking habit, you are meeting your need for SIGNIFICANCE as well.When we meet 3 or more of our needs – we are ADDICTED! What healthy ways could you meet each of those needs instead? DO THIS TOO– When confronted with someone else’s behavior or habit that you really want to change, ask yourself,what NEED do THEY want to meet by doing this?You can use that answer to meet their need in a positive way instead. Give them some better quality fuel and your relationship with them will also be better quality.